I couldn't believe the weather forecast for today; bright sunshine with temperatures of about 19-20°C - not bad for the middle of October! The problem with this extension of summer, is that I'm taking every opportunity to get out and about and do things. 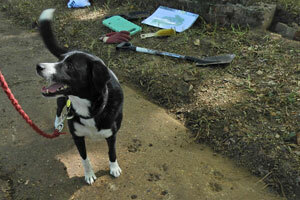 The knock-on effect is that I've been doing so much lately, that I haven't had time to keep my blog up to date. So despite being rather tired, I've decided to blog today and not leave it for tomorrow. 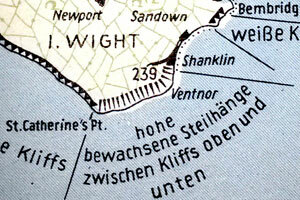 Part of the GHQ (General Headquarters) Line was in East Sussex, running from Newhaven to Crowborough. This was known as a "stop line", i.e. a defensive line along which the German advance was to be halted, buying time for British reinforcements to reach the frontline. The GHQ Line was the most important, as its purpose was to blunt any German advance before it reached London or the Midlands. 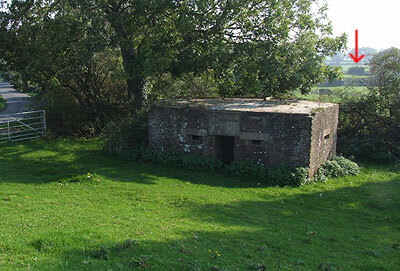 The result was a long line of pillboxes and other defences, and I knew that many pillboxes still survived along my local stretch. Taking my bike on a train out to Lewes, I began a trek along the River Ouse, where I came across this Type 24 (with a train in the background). I knew this one was here, as I'd tried several times in the past to photograph it from the train; it was a strange experience finally being able to see the other side of it! The interior was interesting, differing from other Type 24s I'd previously seen. 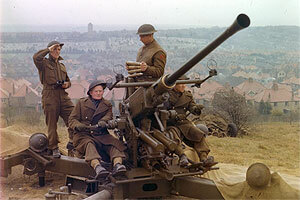 The weapon mounting in the embrasures particularly caught my eye; my theory is that they were designed for use with the Boys Anti-Tank rifle or the Bren gun. As this pillbox was in a relatively quiet location, I wanted to spend time surveying it properly, but a shortage of daylight hours meant I had to push on. My next stop was a few hundred yards along the river, where I found an identical type. Unfortunately, I didn't go inside this one, as there was the rotting carcass of a sheep just outside, and I don't like being near dead animals; you never know how safe it is to be there. 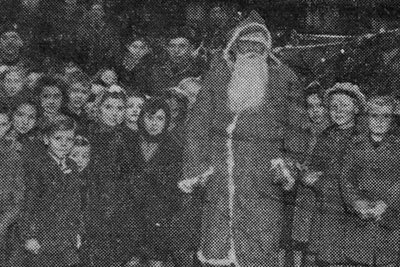 It was not a pretty sight, which is why I've blacked it out in the photograph. Standing on the roof, I quickly saw the next pillbox in the line, obviously able to cover the area surrounding the one I was at. 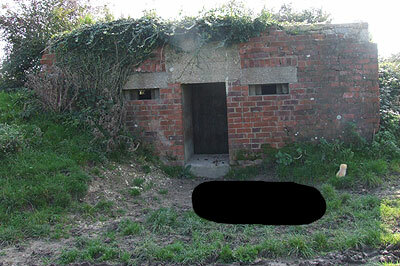 This next pillbox was not directly accessible as it was on private farmland, but I did get some better photographs of it. From here on the trail was to get a bit cold, as the public footpaths took me away from the river (and pillboxes) and slightly inland. I think there were at least 10+ pillboxes that I missed as a result of this detour, but my morale was raised by finding this specimen beside the footpath. 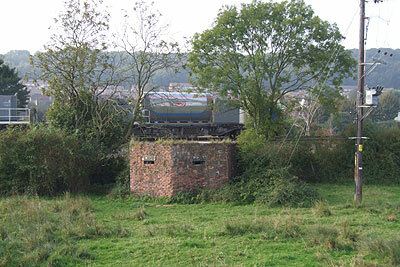 The arrow indicates the position of another Type 24 on the far side of a disused railway line at Barcombe Mills, totally overgrown. I later managed to photograph this particular one from another angle, but again, from a distance. Following the old railway line north, I saw another 3 Type 24s on the far side of the fields, and one on land behind a pub. 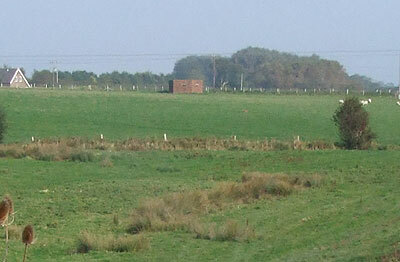 The tenth pillbox of the day was situated on the far bank of the river and again, a distance shot was all I could get. This may sound like a disaster, but having been inside just two of the pillboxes, you can tell that the interiors are identical in design. What may differ is the level of preservation, and the fact that all of these examples appear to have been numbered on the interior blast wall for identification purposes. I decided at this point that it was time to head back taking the road rather than retracing my steps. I cycled the five miles back to Lewes, where I arrived with some daylight time left, so I went back to the first pillbox again to get some measurements. I managed to get the vital statistics, but I'll need another visit to record the interior accurately. The weather held (I'd have been happy to experience this sort of sunshine in summer; bright but not too hot), and so I lasted all day in jeans and t-shirt. 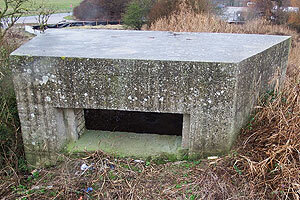 I'd seen several new pillboxes and explored an area less well known to me - all in all, a very satisfying day!